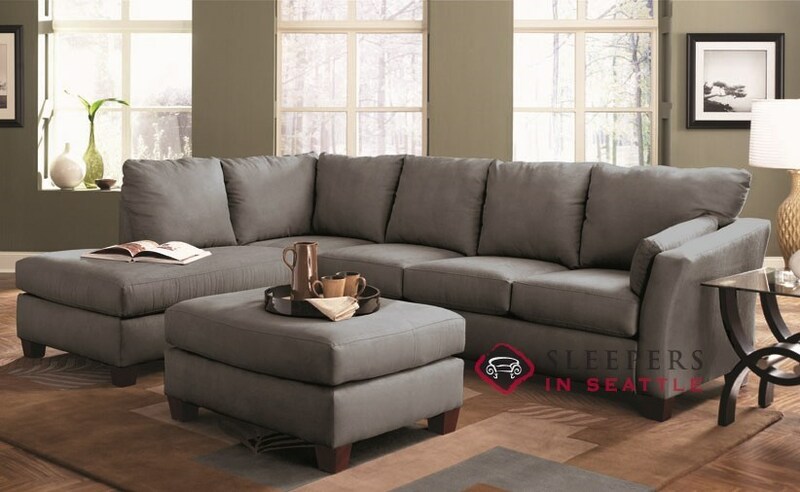 The Sienna Queen Chaise Sectional Classic Queen Sleeper has it all-- urban, classic styling, with emphatic fashion. 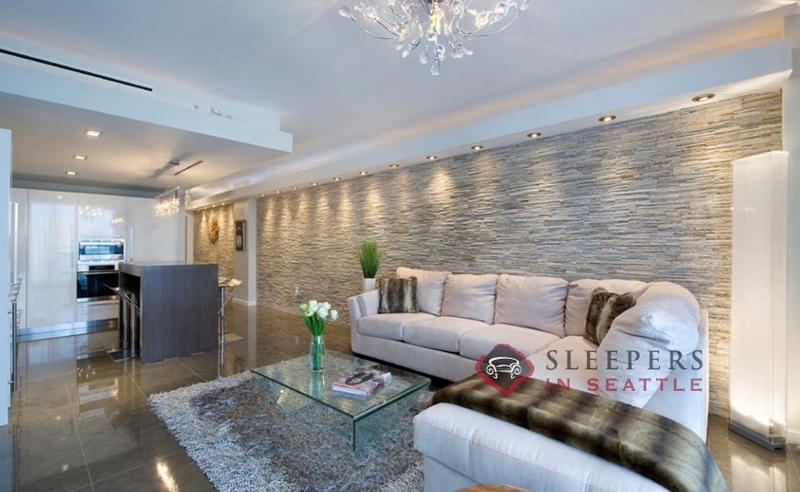 The only chaise sectional sofa bed to offer a queen size mattress, the Sienna features square profiled arms, sculpted arm pillows, and much more. What a classy sofa! I'm absolutely in love with this piece. I was anxious to recieve it, because i was goingto be quite upset if it wasn't as nice in person as it is in pictures. Luckily for me (and for you) it was just as a I anticipated. I'm very content with the purchase. Thank you again and have a wonderful week. I love my new chaise sectional! You guys were great. I looked around and your guys offered the best deals. Great customer service too. I have to admit, I love this sofa! Really comfortable seat. Great proportions. Super roomy. Haven't tried the mattress yet, but I will get back to you! Do the legs screw off and if so how high are the legs? Yes, the 3" legs easily unscrew--with no tools necessary. 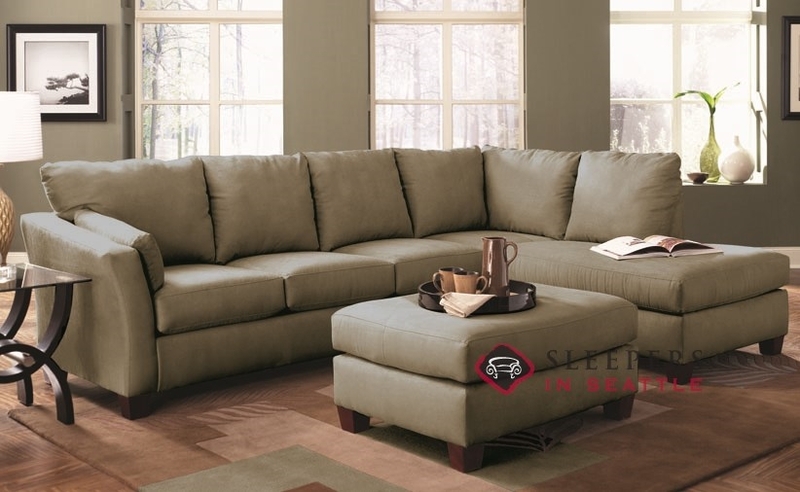 The Sienna Chaise Sectional is only offered with the wooden legs shown above. However, you are certainly able to easily apply any legs purchased separately. Can I use the chase as a storage? The Sienna Chaise Sectional does not offer storage within the chaise--however the Sienna is known to be one of the most comfortable sofas (to SIT on as well as sleep) we have ever carried. The height is listed as 30 inches. Is that the height from the floor to the top of the sofa back? 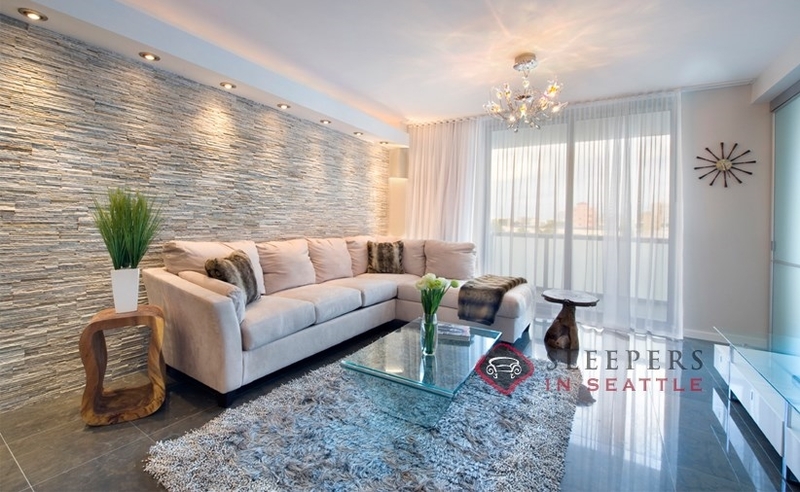 What is the height from the floor to the sofa cushions (where you would sit)? That is correct--the 30" is to the top of the back. The SEAT heigh of the Sienna is 21". 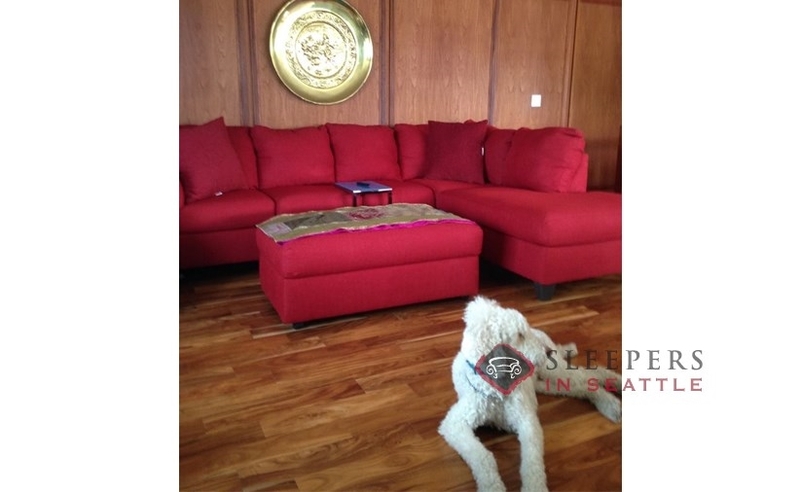 Photo of Sienna queen chaise sectional room shows a matching ottoman but I am unable to locate it on the website, Is it available for purchase? 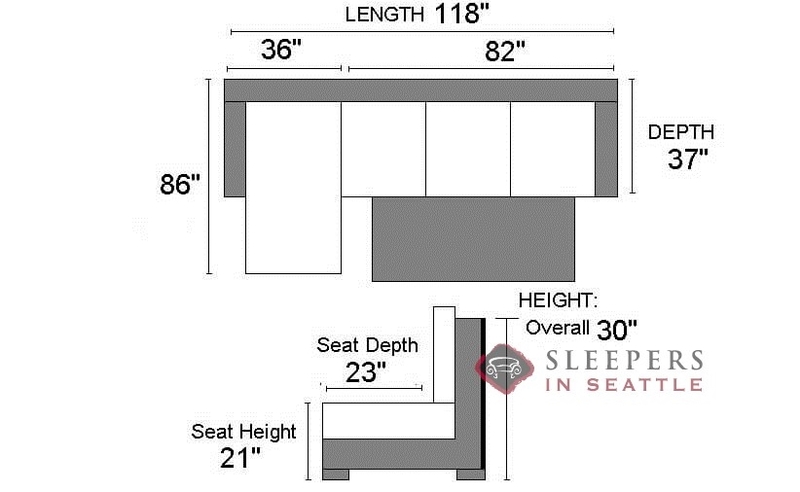 The product information for the Savvy Sienna Chaise Sectional Sleeper describes the back as "attached pillow back". Does this mean permanently sewed on? Yes, that is exactly correct! 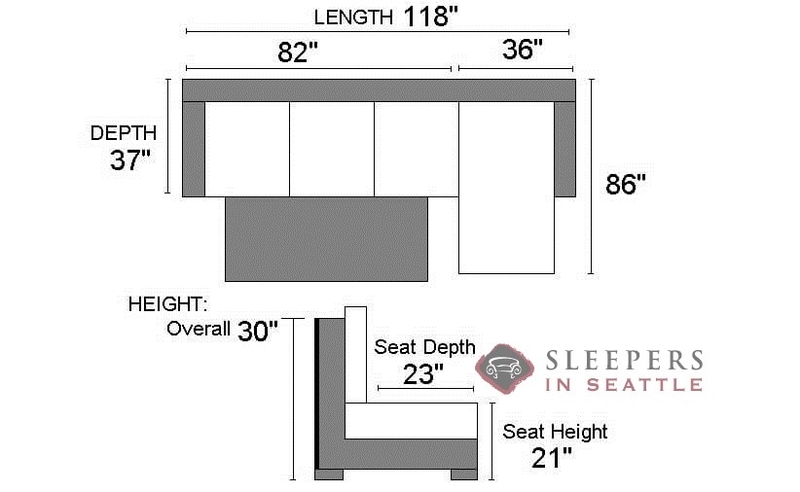 The back cushions of the Sienna are sewn on at the top of the back of the cushions. 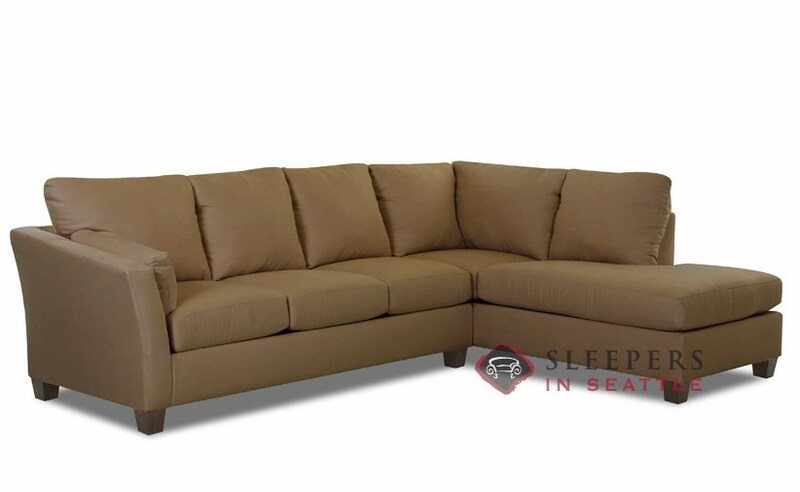 What is the length of the couch when the mattress is extended? 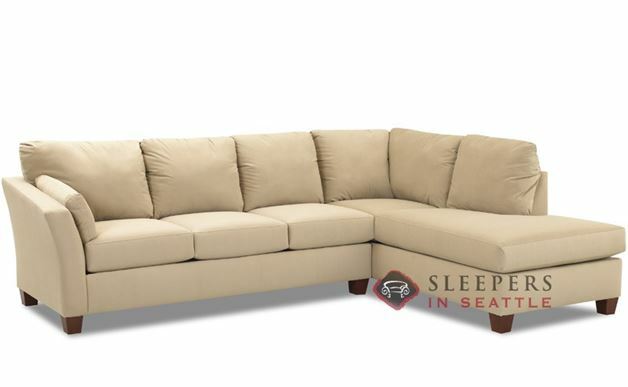 The image in the room shot, with the off-white Sienna, shows this model upholstered in Microsuede Oyster!